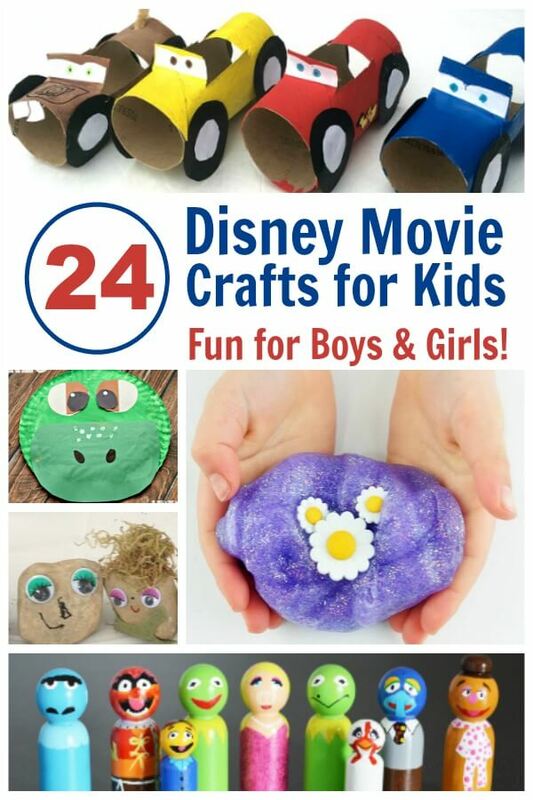 You are here: Home / Kid Crafts / 24 Disney Movie Crafts – Great for Family Movie Nights! 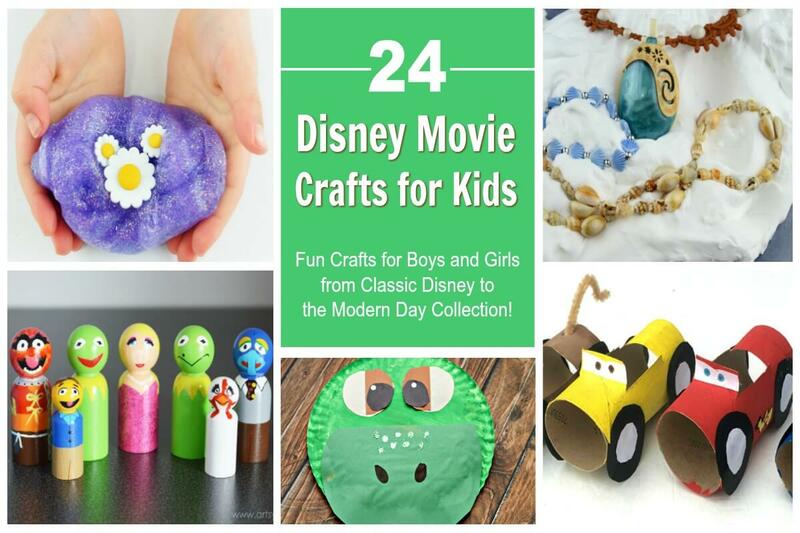 24 Disney Movie Crafts – Great for Family Movie Nights! 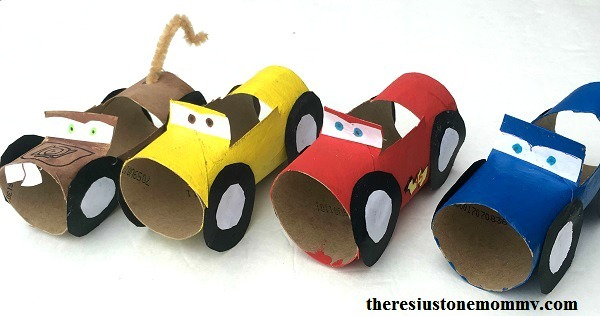 Here is a list of the best Disney movie crafts for both boys and girls. 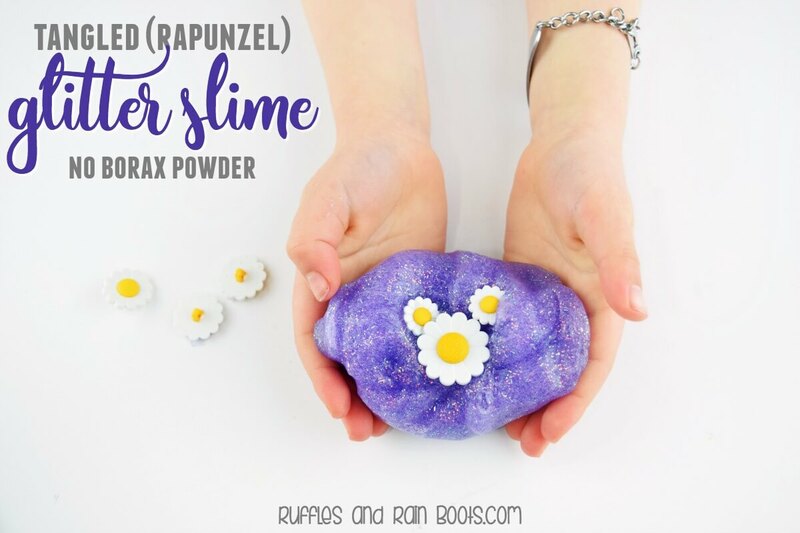 These Disney crafts are great for family movie nights, playdates, or those long winter days with sick kids or when stuck inside. We’re a huge fan of Disney crafts at Ruffles and Rain Boots. We’ve been making Disney inspired dress-up costumes for years (check them out – some are so stinking adorable)! 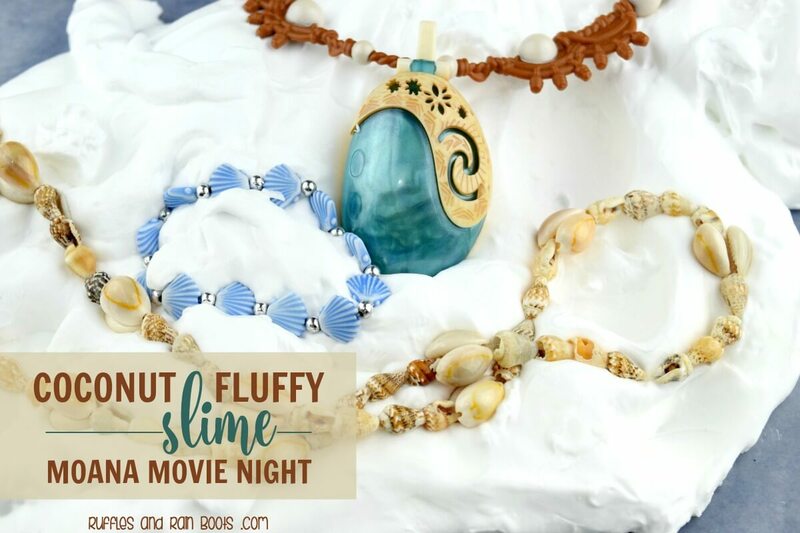 This list of Disney movie crafts has something for everyone: from Guardians of the Galaxy (my husband’s favorite) to Moana. There is no shortage of Princess Disney movie crafts out there, friends. Here are a few of our favorites (some are fun for both girls and boys)! If I’m being honest, Cars 2 was not a favorite in this house. We love the first Cars and Cars 3, however. Who doesn’t love the sisters and their friends from one of Disney’s most successful movies of all time?! You can’t go wrong with any of these Frozen Disney movie crafts. 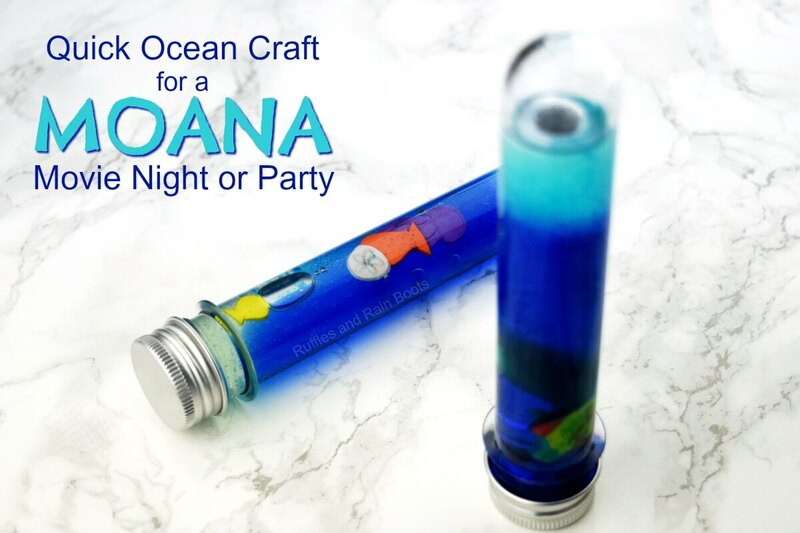 These Disney movie crafts are so much fun for the biggest little fans of our friends from the ocean. All little movie fans will delight in some of these crafts. The peg dolls might be a bit advanced for younger kids, but they sure would make a great Disney movie gift! Our little one is still too little for Guardians of the Galaxy and Descendants but these other two crafts are spot-on fun! If you need even more ideas, why not go to the source?! Pop over here for more Disney movie crafts. 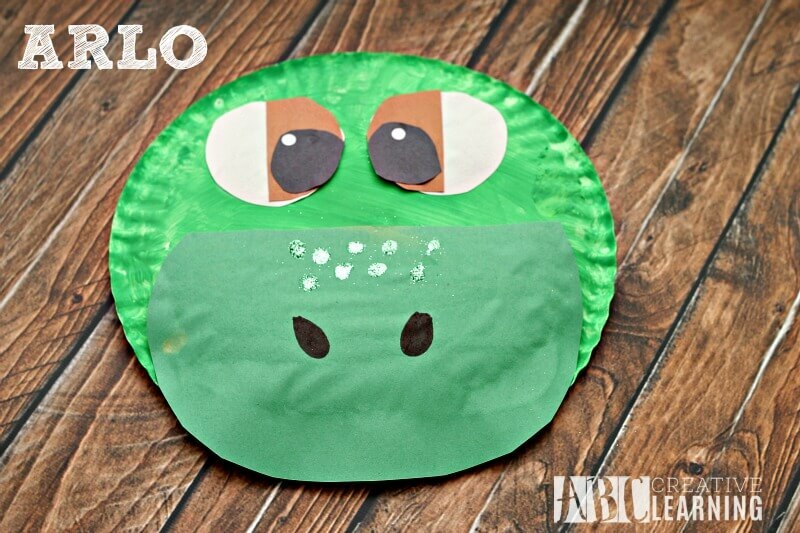 Which of these great Disney movie crafts will you make for family movie night? We happen to LOVE Moana, so we’ll likely make one of those and share them with friends. Speaking of sharing… Your shares are how we grow. Would you please share this on Facebook or pin it to your favorite crafts for kids board on Pinterest?